Bungie Studios has confirmed that over the next ten years, your destiny characters will transfer through games, so you won't have to worry about restarting. Destiny, created by Bungie Studios, was released in September 2014 to a mixed reception, and to follow two expansion packs, The Dark Below and House of Wolves, were also released to further extend the game's roster of activities and content. With the future in mind, Bungie has confirmed that your playable character will carry over through the years of Destiny games, this information relaying from GameSpot.com. Destiny's lead engineer, Luke Timmins, explained that, "We certainly take it seriously that Destiny is a ten-year thing. It's a long-term thing and with these adventures that we're adding my contract to you--and any player--is that your Guardian will always be there." With this in mind, they confirm that they want you to continue on the saga as your own character, but whether weapons, gear, and other items like that will transfer along with your personal Guardian is a mystery. It is also unknown if you'll be limited to transferring only one character to future games and major expansions. The next adventure in Destiny, The Taken King, will be released in September of 2015 and Bungie has confirmed that another game is in the works. Rumor also has it that two other expansions will follow The Taken King, but details about these are unknown. All information and images sourced from Bungie Studios, Activision, and Luke Timmins. Today, Activision released some Destiny sales figures and overall statistics. Note, prepare to be blown away! Some people hate Destiny, some people love Destiny, and some people don't care at all about the game. Either way, the game is huge, as Activision stated over at IGN.com. The game has already earned it's marketing revenue of $500 million back within it's first few days, with a current number still unknown. Activision reported that Destiny's sales played an extremely large part in their Q3 2014 and is overall one of the biggest successes this year. Over 9.5 Million players are active in Destiny daily, playing between 3 and 4 hours each day. The success has lead to work being put on future expansions like The Dark Below, and the sequel, which was confirmed by Activision's Publishing CEO. He said, "Work has also begun on future expansion packs as well as on our next full game release, we're very pleased with the launch and continuing engagement." Are these sales and statistics deserving of a game like Destiny, which has gotten an overall mediocre response? Leave your thoughts below! Thanks a ton for reading folks! So, recently as a good amount of us have been enduring the darkness and pushing it back, we've also been collection some engrams. And, the Cryptarch as the silly fellow he is never really gave up Legendary items. Thanks to Bungie hearing the plea of us guardians, here's their response to this issue. "Cayde-6 took the Cryptarch aside and showed him a sack of doorknobs. He decoded that mystery pretty quickly. Rare engrams will have an increased chance to produce Legendary quality items"
That means our blue skinned friend won't be trolling us all for a while... Hopefully. In other news, we also have some changes to Vanguard Strikes. These will now give us Legendary/Rare Items or Engrams aside from the normal rewards you'd recieve. We also get to see certain materials such as "Ascendant Materials" in general become Legendary to match what they are normally associated with. "Legendary Engram items that exist in your inventory will be demoted to Rare quality when the patch goes live, so decode them while you can. But let’s be honest--even if you don’t, we all know they were blues already..."
Bungie and Activision's newly released smash hit IP Destiny has now garnered over 500 million dollars in game sales being shipped to stores, meaning Activision has now broken even on marketing costs. If you haven't heard someone mention Destiny, whether you've got your mind wrapped around what exactly the game is or not, you've either been living under a rock or have forgotten someone mention it, which is highly unlikely since it's been talked about nonstop. Polygon.com reports that all that talk really did work out in the end for Activision and Bungie as the game has earned over half a billion US dollars in worldwide shipping to retail stores on the game alone. This massive earning makes Destiny the biggest new game franchise launch title in history, surpassing anything before it in terms of hype. However, just because the game has been shipped to stores doesn't mean all those copies sold, but it is a good estimate as it shows the expectations companies had for the game. Activision has yet to release actual sales on the game itself, but estimate it to be quite high, possibly even beating last year's colossal Grand Theft Auto V launch. Bobby Kotick, Activision Blizzard CEO, had this to say, "This industry milestone marks another blockbuster success for our company and demonstrates our unique ability to create some of the most successful entertainment franchises in the world. The success of Destiny, along with the recent introduction of Blizzard Entertainment's Hearthstone, is further validation of our unique capabilities to create great entertainment franchises from the ground up." So have you picked up your copy of Destiny just yet, what are your first impressions if you have? Tell me in the thread below! Thank you so much for reading this article! Release date announced by Bungie for Destiny! It was announced today by Bungie that they had set the release date for Destiny for September 9th 2014. Below is an excerpt from the Bungie Weekly Update for 12/6/2013 and a news article from the site. The date falls almost 9 months to the day from this day. It is the 9th day of the 9th month of the year. This is a Tuesday in the second week of the month. There will be a full moon on that date. There appears to be no relevance with the date other than that, unless there is some 'in house' reasoning for selecting it. It falls well before the shopping period for the Holidays and after the summer break for schools. This week, we set that date in stone: September 9th, 2014. In an interview with the community back in 2001, Jason Jones once lamented the inexorable tick of the clock. More recently, he reminded our studio just how valuable the coming months will be, and challenged the team to make every second of Destiny development count. It’s an exciting time to be at Bungie. The stage is set, and we’re going to make these moments matter. We believe Destiny will be worth the wait, and we’re anxious for the chance to prove it to you. Newest Vidoc from Bungie released today! Discuss, drool, and Enjoy! According to an article posted just moments ago at eurogamer.net, Blizzard Entertainment's WOW, aka World of Warcraft, has lost over 1,300,000 subscriber during the last three month period. This information, found in Activision's quarterly report from March 31st 2013, show the noticeable decline of users playing WOW. The author of the story also noted that Skylanders : Giants has become the best selling game in the western hemisphere! Is this actually possible? Read the original article below for yourself. World of Warcraft subscriptions drop 1.3 million in three months! That being said, it's still the most popular subscription-based MMO on the planet with 8.3 million subscribers. Activision-Blizzard CEO Bobby Kotick noted that the drop in users emanated "mainly from the East, but in the West as well." Elsewhere the publisher noted that its two day sales of Starcraft 2's Heart of the Swarm expansion shifted 1.1 million copies. It also stated that the best and second-best selling titles in dollars across Europe and North America combined were Skylanders: Giants and Call of Duty: Black Ops 2 respectively. Of course, it took the figurines into account with Skylanders, which is sort of like DLC without the DL part. The publisher's overall GAAP net revenue had increased to $1.32 billion this quarter over $1.17 billion during the same time-frame last year. The panda may be dying out, but it's far from endangered. With the excitement and anticipation from the reveal of Bungies next game on Sunday some people might find their mood to be dampened as activision have announced that Destiny will not have a 2013 release. They said it will be coming out in 2014 but have not said when, it is a safe bet it could be within Q1 or Q2 of 2014 but nothing is for sure yet. Read below for more details. This article is from gamespot. Activision has warned not to expect Bungie's Destiny in 2013. "Although Bungie's amazing new world was revealed today, Activision has not included the launch in its 2013 outlook and there should be no speculation or expectation of a different result," said the publisher today in a statement. Destiny is scheduled to be released for Xbox 360, PlayStation 3 and all future console platforms, with the new Xbox and PlayStation expected on shop shelves before the end of the year. 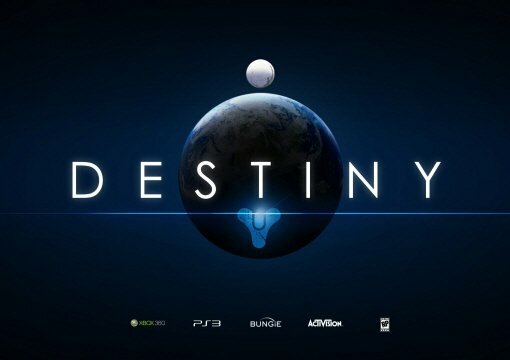 This means it is unlikely Destiny will be a next-gen launch title. Destiny is billing itself a "shared-world shooter" in an always-connected world. Players assume the roles of Guardians in the last safe city on Earth. Bungie has yet to release any in-game footage of the game. "For all the unknowns, Destiny still feels very much like the product of Bungie," said GameSpot's Shaun McInnis after glancing a first look at the game last week. "More specifically, it feels like Bungie taking what they've done well over the years and moving in a new direction, with new technology, toward something well beyond Halo. I know I can't wait to see what else Destiny is." How Bungie are gearing up for Destiny. After being in the dark for quite some time bungie shed's some light on how they are preparing for their next game Destiny and how they as a company are holding up. Nothing exclusive about destiny has been revealed yet but we are expecting something in late March. Issue 250 of Edge, on sale today, features an exclusive profile of Bungie, the studio which cemented its place in videogame legend with the 50 million-selling Halo series and which is now working on its first project for Activision, codenamed Destiny. The game has been shrouded in secrecy ever since Bungie signed a ten-year deal with Activision in 2010 – until last November, that is. Art assets which had been handed to an advertising agency ended up in the hands of gaming websites; Bungie, to its credit, took ownership of the leak, giving fans a first official look at some of the game’s concept art in a post on its website. Speaking to us as part of an in-depth studio profile, writer and design director Joseph Staten recalls the day of the leak. “I was in a conference room,” he tells us. “And Pete [Parsons, COO] walked in with his laptop. Pete has this look on him when he’s a little nervous and his eyes get really wide; his entire body was quivering. The feature charts the history of Bungie, which began life as a Chicago-based developer of Mac games before Halo caught Microsoft’s eye, the studio upping sticks and taking up residence on the Xbox maker’s Redmond campus. Time magazine once described that office as “a low-rent nerd farm in the middle of a pumpkin patch”; now the company occupies a sprawling converted multiplex cinema in Bellevue, the Seattle suburb that Valve also calls home. And the similarities with Gabe Newell’s company don’t end there. All Bungie’s desks are on wheels – and have been since 2005, Parsons assures us, lest we think it was a change made last year after Valve’s workplace culture was exposed in a leaked staff handbook – and even the most junior staff are given creative input. It’s a remarkably stable company, too, avoiding falling into the hire-ship-fire loop to which so many big studios succumb. Success helps, of course, but stability is an important part of the Bungie philosophy, as music director Marty O’Donnell explains. And so it’s proved. Half of the team that worked on the original Halo is still at the studio. Staff are shareholders, so everyone stands to benefit from the studio’s success – which could hit new heights this year, given that Bungie, not Activision, owns the Destiny IP. For the full story of how Bungie is preparing for what looks to be a very interesting year indeed, you’ll need the latest issue of Edge. E250 is on sale now, and it’s a packed issue, with the inaugural Edge Developer Awards – our pick of the 50 best studios on the planet. There’s a 12-page feature on the number one studio, Valve, and reviews of the likes of DmC: Devil May Cry and Ni No Kuni: Wrath Of The White Witch. Edge is available in print, on Android through Google Play or Zinio, and in award-winning, interactive form for iPad on Apple Newsstand. In late march bungie will finally be discussing about their next game destiny, the discussion will be held at GDC (game developers conference) at the Moscone Centre in San Francisco. Bungie will discuss its all-new and still-unannounced franchise--believed to be titled Destiny--in late March during a 2013 Game Developers Conference talk at the Moscone Center in San Francisco, California. Presumably, a more formal announcement for Destiny is planned for sometime prior to the talk. Neither Bungie nor Activision had returned requests for comment at press time. Bungie writer and design director Joe Staten and art director Christopher Barrett will lead the discussion, titled "Brave New World: New Bungie IP." The talk will focus on Bungie's design process and world-building techniques, running from concept to production. Those in attendance will get a glimpse inside Bungie's new world, though it's not clear what state the game will be in during the briefing. Additionally, the event description suggests the next ten years of games from Bungie will be based in the Destiny universe. To date, Bungie has released just one piece of artwork for Destiny, but speculation has run rampant. A leaked marketing document in November described Destiny as a "fun and accessible" game with a "deep, tangible, and relatable" universe compared to Star Wars. The game is also described as "social at its core." According to the document, Destiny's plot revolves around an alien ship bent on destroying Earth and the "knights" tasked with defending what's left of humanity. The document also shows images bearing the Destiny logo along with Xbox 360 and PlayStation 3 icons. Destiny is Bungie's first project as part of a 10-year publishing deal with Call of Duty company Activision. Legal documents from May suggested that the game will be released for the Xbox 360 in 2013, with a 2014 release slated for the PlayStation 3. Treyarch have released a live action trailer for Call of Duty: Black Ops 2 and a behind the scenes of the soundtrack. Activision has released a double injection of Call of Duty: Black Ops II trailers, with one going behind-the-scenes on the game's soundtrack with composer Jack Wall at Abbey Road, while the other is a live-action short directed by Guy Ritchie, of Lock Stock and ****** fame. The latter continues with the "There's a Soldier in All of Us" theme from the last commercial for Call of Duty: Modern Warfare 3, with a live-action jaunt through the war torn streets of Downtown LA circa 2025, whereas the former was recorded at Abbey Road studios, and sees Jack Wall taking you behind the score. You can check out both trailers below, then prepare for combat as Call of Duty: Black Ops II heads into battle on November 13th. Could Halo and Call of Duty one day be made under the same roof? Reuters reports that Vivendi has enlisted the help of a bank to speak with potential buyers for Activision Blizzard, and the list includes Microsoft, Time Warner, Tencent, and a group of private equity firms. Call of Chief: Master Warfare? "It's nothing official yet, but they've asked a bank to go and talk to possible buyers for Activision," a source close to Vivendi's board told the news agency. Vivendi presently owns a 60 percent stake in Activision Blizzard, and stands to raise close to $10 billion by offloading the company, the sources said. While Microsoft has the capital to purchase Activision Blizzard, the source told Reuters the Seattle technology giant is currently focused on building its next-generation Xbox. "They probably don't want to distract themselves too much, but they are the ones who, if they want to stay in games, would think about owning some of these big franchises, not just providing the consoles," the source said. As for Tencent, earlier this month, Activision Blizzard announced a deal with the Chinese company to bring Call of Duty: Online to China as a free-to-play game. However, a banker speaking to Reuters believes Tencent taking full ownership of Activision Blizzard would be a "big step" because of the companies' varying business models. 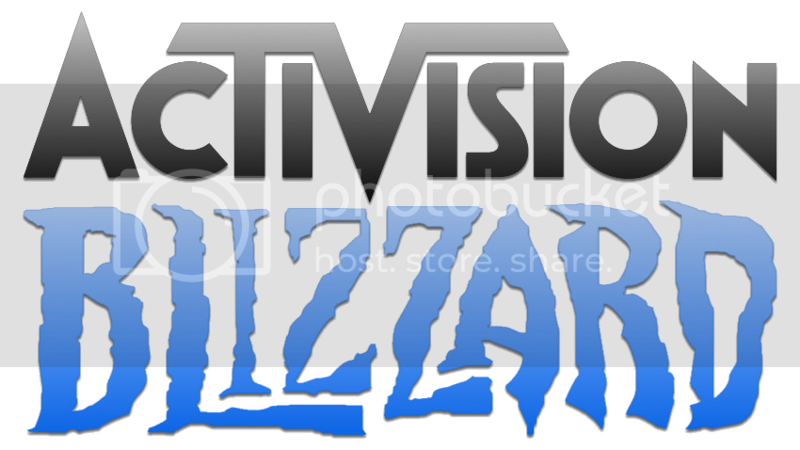 "[Activision Blizzard] have two big franchises, Call of Duty on the console side and World of WarCraft on the MMOG (massively multiplayer online game) side. And China is not a big market for console businesses; online games are much bigger for various reasons," said the unnamed banker. Despite Activision Blizzard's success with the Call of Duty series and World of Warcraft, Wedbush analyst Michael Pachter suggested in June that Vivendi might not have many suitors for the game maker. "The problem is there are no readily apparent buyers for Activision," Pachter said at the time. "The only option left to Vivendi is to lever up Activision's balance sheet and pay out all of its cash as a dividend, then spin the company off." [UPDATE] Pachter continues to hold this belief, telling GameSpot this morning that none of the above-mentioned companies are in a position to acquire Activision Blizzard. "None of those make sense," he said. "TenCent is the only one actively acquiring, and they make much smaller acquisitions. Time Warner has never spent more than $150 million on game investments. Microsoft would lose a lot of value if Call of Duty was Xbox only. None of these are buyers." It first came out that Vivendi was looking to offload Activision Blizzard in June, when a Bloomberg report stated Vivendi's board was planning to meet to discuss selling its majority stake in the game maker. Later that month, Vivendi CEO Jean-Bernard Levy was ousted for butting heads with the board regarding the firm's restructuring plans. And a new report suggested if a single buyer could not be found, the company would look to unload its shares on the open market.